We are fortunate to have a pool of qualified instructors, including National Instructors, who are willing to give their time to help train others in the club. For our members we are therefore able to offer courses that are part of the BSAC Diver Training programme – including for those who have trained with other agencies -, as well as specific skills development courses. We work closely with the BSAC SW Regional Coach, Allen Murray, who is a club member and we are always happy to work with other branches where practicable. Early in the year, to help prepare for the diving season, we run a vibrant Club Day, which includes a number of speakers and a range of workshops. BSAC’s entry level Ocean Diver courses are delivered within the branch at least once a year. See the Learn to dive link for more information. In 2018 we enrolled 6 new divers on our Ocean Diver course. Sports Diver courses are usually run at least once a year and we may be able to offer a bespoke programme for individuals. Most of the open water skills can be addressed through normal club diving. The current basic cost of the course is £50, covering the cost of the materials and the instructor’s boat diving costs for the Rescue Skills session. Usual diving costs apply. If you are interested in joining TSAC and doing the Sports Diver course email us: totnes.diveclub@gmail.com. Dive Leader courses are run on demand and we may also be able to offer a bespoke programme for individuals. Last year some of the lectures were offered through the Regional Coach. Most of the open water skills can be addressed through normal club diving. The current basic cost of the course is £50, covering the cost of the materials and the instructor’s boat diving costs for the Rescue Skills session. Usual diving costs apply. 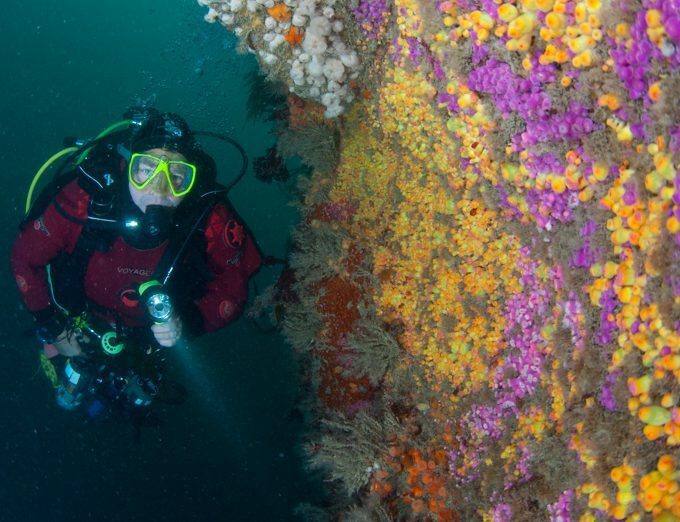 More information about the course is available using this BSAC Dive Leader Diver link. Advanced Diver courses are usually more bespoke and are offered on demand. Last year some of the lectures were offered through the Regional Coach. Most of the open water skills can be addressed through normal club diving. The current basic cost of the course is £50, covering the cost of the materials and the and the instructor’s boat diving costs for the Rescue Skills session. Usual diving costs apply. If you join us having trained with another agency, such as PADI, you are able to continue your training with us. This may require some element of induction / cross-over into BSAC, which will then allow you to continue your training from an equivalent level, as a BSAC member. Our instructors are able to run a number of Skills Development course within the club, which are open to members. We have recently run the following BSAC courses: Oxygen Administration course, Boat Handling course, Automated External Defibrillator, Mixed Gas Blending, Nitrox workshop. BSAC members are also able to sign up for other Skills Development courses offered within the region and across the country. More information can be found through the BSAC Skills Development Courses link.